AKS-Labs was founded in 2000 and now is focusing on creating powerful and easy to use solutions for getting valuable information out of files created with popular office tools. The most known project is Compare PDF, file compare product. Headquarters of AKS-Labs are located in Raleigh, USA. The company also has a branch in Moscow, Russia. 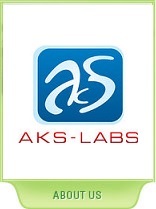 AKS-Labs is a member of Association of Shareware Professionals since 2001. We have developed some popular document management and security solutions. Please, visit the products' web-site for more information. Shred Agent is a simple file shredder, as no user action required to make deletion secure. Find Protected is a computer forensics software designed to find password protected files. QuickWiper is a file wipe and wipe hard drives utility. Search word document with File Search Assistant, as we as other popular file types, document indexing feature is also available. Compare Suite is a file and folder comparison tool. Compare PDF is a file compare tool designed specifically to compare pdf documents. BSC Designer is a Balanced Scorecard software, use it to measure and control business performance, for instance using human resources metrics. Mind Map is an object-oriented mind mapping software. PDF Manager is a set of tools for searching pdf files, also it allows to compare pdf documents and convert PDF into text. Developed products include wide range of reporting means that's why collaboration is easy with AKS tools. AKS products are used widely. Home based professionals as well as representatives of departments of large companies found our products easy to install, configure and use. It doesn't require much time to integrate our products into your workspace. AKS is interested in providing our users with cutting edge information. We highlight publications and researches of well-known IT professionals. Our specialists always looking for writing about new solutions, including different applications of our software, job or industry related usage specificity. AKS-Labs operates a 24-hour Customer Service Center. It acts as a single point of entry for all implementation and product-related queries. Our intention is to ensure that your service requests are prioritized and resolved in an efficient and timely manner. Read more about AKS-Support. Our mission is to bring information closer to you and make it work for your business.